After a divorce and with a mortgage of by means, the worse nightmare of a couple that is broken becomes reality: to have to share the house with his now ex. 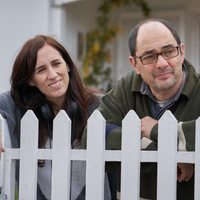 Nadia and Adrián are a couple that decides to separate after years of coexistence but they realize that neither can afford to leave the chalet they bought at the best moment of their marriage ... and the housing bubble. It is then when, trapped by the great debt, and forced to continue together and cohabit, they end up declaring war and creating a particular battlefield under the same roof they have shared for so long. 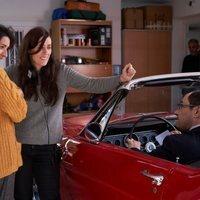 The film is directed by Juana Macías ('Embarazados') and starring Jordi Sánchez, Silvia Abril, Daniel Guzmán y Malena Alterio. Write your own 'Under the Same Roof' review. According to director Juana Macías, the film is based on the real situation of people around us that because of circumstances and lack of economic resources they have to share the familiar house with their ex or get back to parents' home. The director Juana Macías won a Goya prize in 2001 for Best Animated Short Film with 'Siete cafés por semana'. She was also nominated to another Goya for Best New Direction with 'Planes para mañana' in 2010. 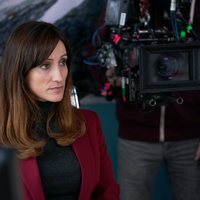 The film has been filmed in Madrid.